Before I discovered I had root canal infection from bacteria that had started a war in my mouth, and that this was compromising my overall health, I’d started to become very curious about the common side effects of fossilizing a dead organ in one’s mouth. That, first of all, your tooth is an organ, and is connected, by the body’s energy meridians and blood supply and function, to the rest of your body? It’s not just a separate entity. And, second, that it’s the only organ that, when it dies, we fossilize it, try to sterilize it, and leave it there for life? What would you think if you heard that instead of removing a diseased gallbladder, doctors were now just hoping to contain the bacteria inside it as it rots and leave it in the body? Until it got so bad that you developed another disease, at which point they’d take it out? Sounds like a horrifying and impossible proposition, right? 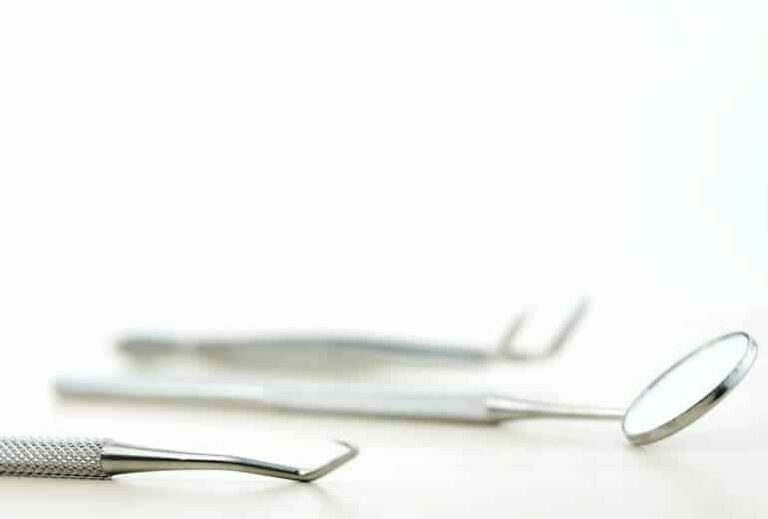 This post dives into the problems with the root canal approach and what your alternatives are if you find the complications of root canals to cause you unacceptable risk. I’ll start with my own story. 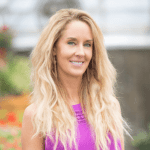 It actually had everything to do with ten years of research, which led me to start the Holistic Dentist Answers website for biological dentists to weigh in about how dentistry needs to change, for the sake of the patient’s health. A root canal is an attempt to “save” a dead tooth, but preserving it in the mouth can lead to chronic disease. When a tooth dies, an American finds the loss of that tooth unimaginable. More than any people in the history of the world, we demand to have a bright, white smile, until we’re old. And we’re willing to put up with those teeth being fake. Nothing can get in the way of aesthetics. As I challenge us to think about this more deeply, you may sense some irony. The fact is, I’m no different. I didn’t want two of my molars pulled when I was in my early 40s! Our cosmetic demands, though, may come into conflict with our health interests. Well, when a tooth dies, it has potentially 100,000 yards of dentin tubules in it (some dentists estimate up to 3 miles of tubules) where microscopic bacteria reside. And there’s no way for a dentist to truly sterilize, and seal from outside forces, the entire tooth, with that intricate internal structure. So, knowing that you want your pearly whites until you’re 102, above all else, the dentist fossilizes the tooth. Some “biological” dentists go further and use ozone treatments to kill more of the bacteria than a traditional endodontist has the equipment to do. However, the more I learn, the less convinced I am that even ozonation of the dead tooth could be enough to keep that tooth sterile and prevent it from eventually compromising your overall health. One: that a root canal represents a risk to their overall health. And two: that it has a shelf life and categorically will “fail” eventually. And when it does, it will cause a massive sinus infection, cavitation, and spreading bacteria that may lead to autoimmune diseases. Root canal infection is inevitable. You see, the micro-organisms inside the tooth are being constantly managed by the tooth’s and body’s vascular systems, but this is only the case while the tooth is alive. When it’s dead, you can seal the tooth, but you cannot keep the bacteria from getting out. And these bacteria can actually morph in the anaerobic environment of the dead tooth, becoming some of the most deadly pleomorphic pathogens known to man, ranging the body and potentially causing autoimmune problems where the immune system is constantly challenged. Bacteria from root canal infections can morph and become systemic, potentially causing autoimmune disease and other problems. Quite a few years ago, I began having daily rashes on my torso and arms. They were terribly itchy and visible, and they went on for months. At the same time, I noticed a blister on my gums, above one of my two root canal teeth. One of my root canals was at least 10 years old, and the other one was 4 years old. He pointed out that my x-rays showed a sinus infection. I felt no pain—then, or ever—and didn’t know what to do about it at the time, so I left my dental appointment that day and didn’t think much about it. But the rashes, and the blister on my gum above my root canal, made me think of this incident when my previous dentist told me I had a sinus infection. My intuition told me that the skin rash wasn’t about my skin. That eventually, the root canal tooth will become so rotten, and full of bad bacteria, that it has to come out. At best, a root canal is a stop-gap solution. And it’s for purely cosmetic reasons. Root canal infection is inevitable, since all of a root’s miles of tubules can’t be sterilized. I certainly understand the trauma of losing teeth, and for a while, looking in the mirror and feeling like I was raised in the Ozarks on Pepsi Cola rather than mother’s milk was incredibly stressful. I didn’t like it. It challenged my notions of beauty, youth, and who I am relative to what I look like. I was humiliated and discouraged as I went through the process of removing my root canal teeth. I gave public lectures with a “flipper” in my mouth for well over a year, as a bone graft healed and the implant post stabilized enough to be ready for a crown. It was difficult. But you should know that when I woke up from surgery, minus two back teeth, I never had another rash. My intuition and basic assessment was right: the rash came from my body being in a constant fight with systemically ranging pathogens. When the lab results came back, I had detectable levels of two of the pleomorphic bacteria known to cause significant autoimmune conditions. I’m so glad that I knew about these issues early. Most people don’t, and so for them, the rash becomes a chronically toxic, inflammatory condition, which eventually becomes advanced autoimmune disease and cancer. And many people in the same boat I was in, facing the “failed root canal,” still unaware how significant this problem is for their overall disease risk, will pay an endodontist a lot of money to do an apicoectomy. This is where a “failed” root canal is treated by cutting the lower gum tissue to expose the bone covering the tip of the rotten tooth. Then, mercury filling is implanted inside the body of the tooth, in contact with the jawbone and its blood supply. Dentists such as Drs. Kulacz and Levy say that in addition to the toxic heavy metal offgassing into blood and bone, the tooth is still infected, as these procedures cannot sterilize the infected area. Now you’re just re-mummifying the dead organ that is already taking your health down. If you don’t have a “biological dentist,” you’ll want to get one. Don’t just get a “mercury-free” dentist. That’s not good enough. There are about 800 dentists in the U.S. who identify as “holistic” or more likely, “biological,” and they are professionals who have become frustrated with the toxicity in traditional dental practices and the limitations of their medical school training. This is often, tragically, because their own health has failed due to mercury exposure! They have discovered what they weren’t taught in dental school, trained in the additional modalities, and invested in alternative training and procedures and diagnostic equipment, to serve you better. These procedures, and underlying theory, aren’t taught post-graduate school, not in regular dental school. They are discovered by dentists talking to each other, seeing the widespread problems in their patients, and seeking answers. Most dentists don’t question the American Dental Association (ADA) and keep assuring their patients that their mercury fillings are fine, their root canals are fine, the sealants are fine, the fluoride treatments are fine, the radioactive x-rays are fine. Why won’t dental schools teach these holistic-oriented alternatives? Well, to do so, they would have to admit the failings of mercury fillings in the mouth, or root canal procedures, or high-radiation x-rays, and other standard practices of dentists. If they did this, they would be highly exposed to many legal ramifications. The American Dental Association and other protectors of the orthodoxy won’t admit to the failings in their profession anytime soon. Recently, after going to a few of Utah’s biological dentists over the years, I asked the one I respect the most, Dr. Michelle Jorgenson, DDS, to make a video masterclass with me. To teach you what both she and I have been studying for many years. We didn’t build this 10-video masterclass to tell you to brush and floss, avoid sugar, and see your dentist every 6 months. And you should know what cutting-edge procedures actually have the potential to help you regain or maintain your health, versus a stopgap, risky solution. Research shows that some of dentistry’s most common procedures are highly linked to cancers, heart disease, and many autoimmune conditions. Dr. Thomas Rau, of Germany, studied 150 breast cancer patients, and 147 of them had cancer on the breast aligning with a root-canal-infected tooth. We made The Holistic Dentist Finder to help you find a dentist near you who can get your extracted root canal teeth tested. If you have a tooth extracted that you believe has caused systemic health problems, have your biological dentist send the extracted tooth off to a lab. Take the video class, and you’ll get the “reader’s digest” version of what I’ve been studying for 10 years and what about 800 American dentists now practice. Dr. Jorgenson and I have shared the most important parts of our knowledge that we feel you must know to stay healthy and keep your loved ones healthy and safe, too. Huggins, Hal A. DDS and Levy, Thomas MD. Uniformed Consent. Hampton Roads. 1999. Kulacz, Robert DDS and Levy, Thomas MD. The Toxic Tooth. MedFox Publishing. 2014. Kulacz, Robert DDS and Levy, Thomas MD. The Roots of Disease. Xlibris. 2002. Breiner, Mark A. DDS. Whole-Body Dentistry. Quantum Health Press. 2011. Wow! I developed dyshidrotic eczema on my palms two years ago after starting celery juice. It has spread and manifested into rashes and hives all over my body. It’s been two years and I finally saw a holistic dentist last month and had a 3D X-ray today. I don’t wish for problems in my teeth but it would be wonderful to have an answer!! This is the first blog where I’ve seen similarities to my situation. Thank you for sharing!